» Meet Father Daniel Kim, M.M. Meet Father Daniel Kim, M.M. 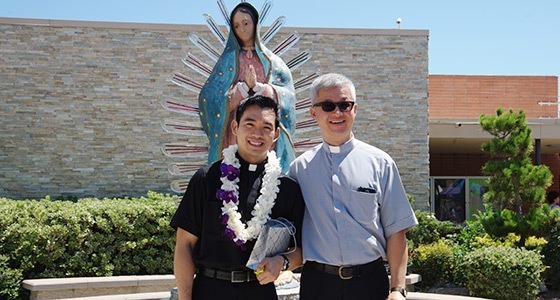 Father Daniel Siwoo Kim says his faith was first nourished by his parents and strengthened at his home parish, St. Thomas Korean Catholic Center in the Diocese of Orange, California. 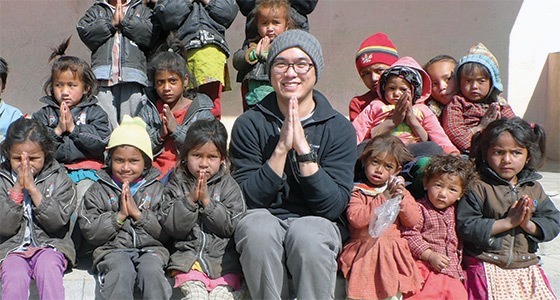 After earning his bachelor’s degree in philosophy, Father Kim joined Maryknoll as a seminarian in 2009, when he said he felt like it was the right thing to do. Father Kim was seeking concrete direction for his life while he was in college. In 2005 he took a year off and went on a pilgrimage to Europe. There, he witnessed the murder of Brother Roger Schutz who founded the Taizé ecumenical monastic community. That moment brought him to explore his vocation in a deeper way. He stayed in Europe for a semester to study Scripture at a university in Nemi, Italy. 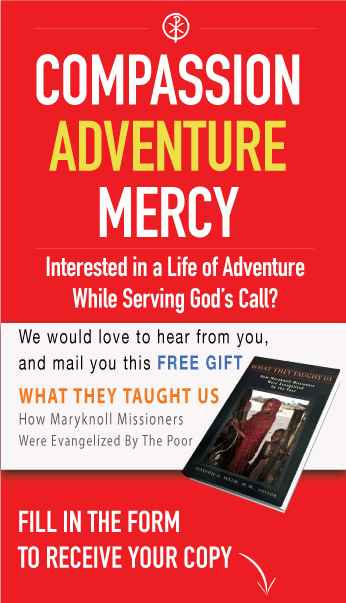 Soon after, he met Maryknoll Father Alfonso Kim, who told him about the missionary society. He entered Maryknoll during August 2009, soon after graduation from California State University at Long Beach with a bachelor’s degree in philosophy. Father Kim was ordained a deacon on August 29, 2015 at his home parish of St. Thomas Korean Catholic Center in Anaheim, California. He earned a master’s of divinity degree from the Catholic Theological Union in Chicago during 2016. He has learned about and experienced his faith during many contemplative opportunities that have included the study of the Mandarin language in Taiwan and China during his overseas mission training program. He also is fluent in Korean. Father Kim celebrated his first Mass at the Chapel of the Annunciation of the Maryknoll Sisters on Sunday, May 21, and then returned home to celebrate Mass in his parish of St. Thomas Korean Catholic Center in Anaheim, CA on May 28. Previous Post Meet Father Daniel Kim, M.M. Next Post Meet Father Peter Latouf, M.M.